Is Tegna Station trying to Suppress Votes? Is this a really stupid mistake, or is KSDK (St. Louis) trying to keep people from voting? 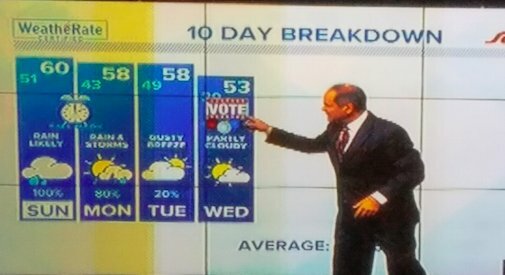 Check out this screenshot from KSDK and notice that the Weatherman is showing the viewers that Election Day is Wednesday.